What to Look for in a Car Window Repair Specialist? Vehicle damage is one of those annoying things that happens when you least expect it and there’s nothing more annoying than car window damage. This is because a cracked windscreen or side window can lead to serious problems, even if the initial damage is only minor. Luckily, choosing the right car window specialist will take the hassle out of repairing or replacing your damaged windows. To find the right repair specialist, read our advice below. All reliable and trusted businesses will be partnered with insurance companies. If your windows have significant damage and your repairer is trying to avoid insurance, reconsider their service. As a cracked windscreen repairer, we are partnered with 5 leading insurers to help our customers. Our insurance partners offer comprehensive policies that include a number of extras and we always make sure that the insurance details are finalised before we get to work. Reviewing a business thoroughly can help you in making the right decision for your next repair. Does the company offer anything other than just window repairs? 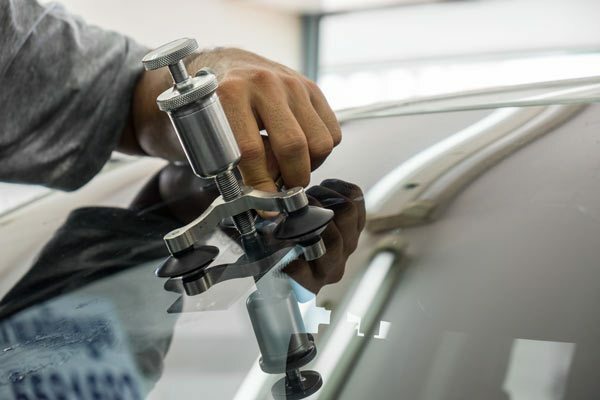 At Advanced Auto Glass, our technicians will fix any minor scratches on your vehicle’s paint when repairing a windscreen. Why? We want our customers to enjoy the best quality work and exceptional customer service. We even offer same day service so you are never without your car for too long. For even more convenience, ask us about our mobile repair team, who can come to you in most areas of Sydney. If your car windows need to be replaced, will your repairer install new windows? Are they new or made from recycled material? We use quality windows and resin for all repairs. All our products and workmanship also come with a one year warranty to give you peace of mind. At Advanced Auto Glass, our experience and workmanship make us an easy choice for customers. We are the window repair specialists in Sydney and we pride ourselves on delivering quality workmanship in all repairs. If you would like to learn more about our service, get in contact with us today or get a quote online. Our friendly support staff will book you in for the window repairs your vehicle needs.